The fourth AJIHL season is just around the corner! 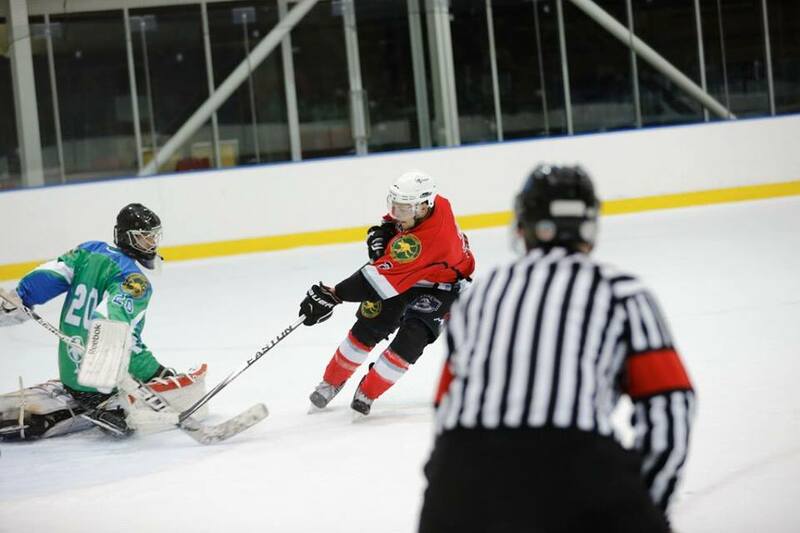 The league has spawned some of the AIHL’s up and coming talent in the past and is a great way to see them in action before they hit the top level. If you are in need of a hockey fix and some cheap thrills then the AJIHL is the answer. As the countdown to the season approaches it is only fitting we bring you a preview of what each team can bring. 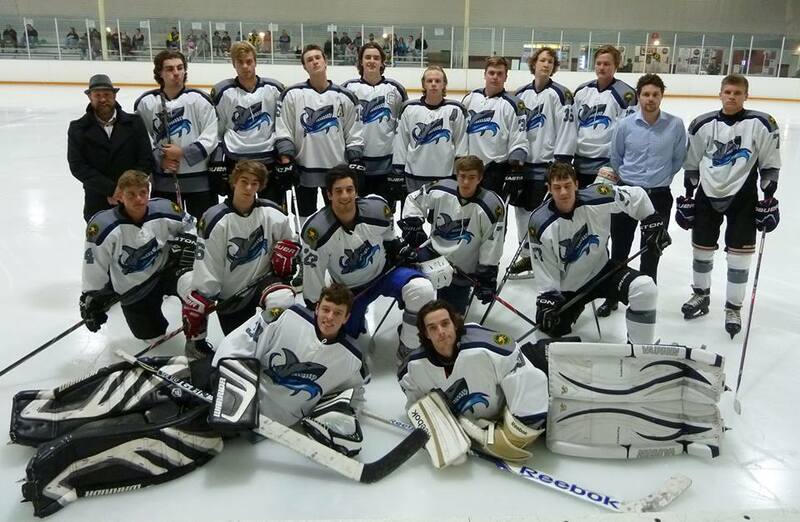 The Perth Sharks finished in first place last season but this success didn’t translate in the playoffs. The Sharks had a break out year (from last place in 2013-2014) led by the leagues highest point scorer Tomek Sak (23G,12A,35P in 13 games). Both Sak and the Sharks tripled their production from the year before. This season is about continuing on what they built up last year. “We are focusing on secondary scoring this year” says coach Dave Ruck. “We also have some holes to fill on the blue line so there are opportunities for some of the guys to step up and take responsibility”. The Sharks might have lost D-man James Woodman but National Junior Team player and Perth Thunder prospect Alistair Punler looks to be capable and touted to have a break out year in the AJIHL. The Sharks have lost some scoring with Woodman and a few other subtractions, but with a focus on secondary scoring Bradley Campbell, Benedik and Bruno Stolze will be worth watching this season as they could follow Saks lead. The fourth AJIHL season is just around the corner! The league has spawned some of the AIHL’s up and coming talent in the past and is a great way to see them in action before they hit the top level. If you are in need of a hockey fix and some cheap thrills then the AJIHL is the answer. As the countdown to the season approaches it is only fitting we bring you a preview of what each team can bring. 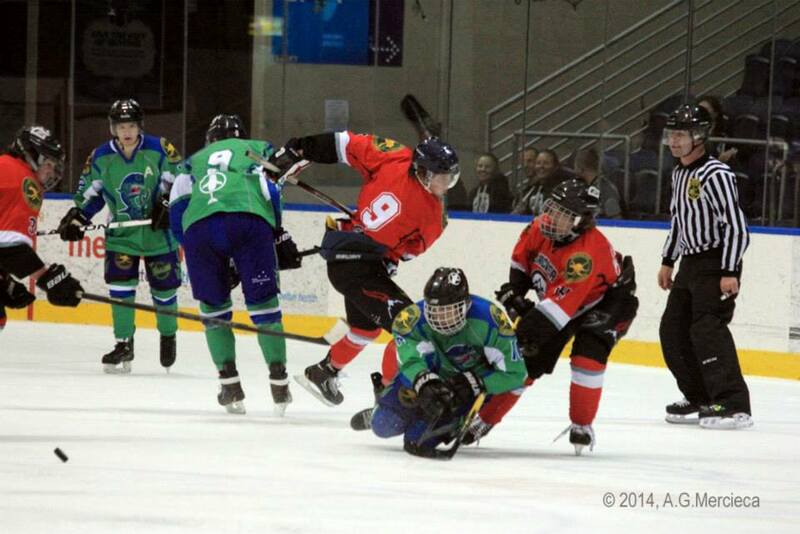 The Whalers are off to a better start this season with a win over the Melbourne Glacier’s Thursday Night. It could be a sign that things will be different compared to last year. Coach Michael Flaherty likes the look of his new line up and injection of Youth “The young talent that has come through this season is exciting and we have room for dramatic improvement from last year”. Last Year Season Ranking = 6th Last Year Final Ranking = 6th Additions: Evan Connard, Marc Bortolotto, Adam Bunting, Aleksander Anderson, Liam McConnell, Fraser Ohlson (G) Subtractions: Remi Beland (Age), Nickolaos French (Overseas), Ryan Foll(Adelaide), Theodore Fabijan(Adelaide), Zahan Shafeeg(Age), Ariel Singer, Mackenzie Hill, Paul Lazzarotto, Chris Wong Forwards Sam Stewart Robbie Rama (F/D) Andrew Johns Byron Tschuma Adam Bunting Harrison McQuade Aleksander Anderson Liam McConnell Marc Bortolotto Defence Harrison Jaunozols Damian Pandolfo Nick Norton Evan Connard Taras Cheprakov (IR) Goal Fraser Ohlson (G) Similar to the Glaciers last season, the scoring has been generated from the blue line as both Jaunozols and Pandolfo were amongst the teams top scorers. Whilst goals are important Flaherty is keen to tighten up his defence. “Our defensive structure needs to improve from last season and will be a key focus. We need to lighten up the workload for our goalie and contribute more offensively as well”. That goalie is ex-Glaciers net minder Fraser Ohlson who has already put one over his old team. When it comes to contributing offensively rookie forward Byron Tschuma is off to a great start scoring 2 goals and 1 assist in the Home Derby on Thursday. The team also starts the year without Taras Cheprakov (3G, 1A in 4 games) who is out with a shoulder injury. 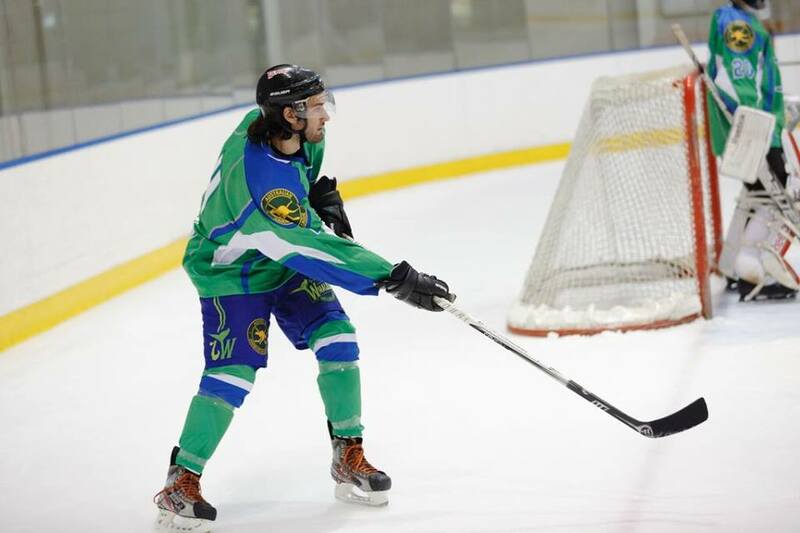 He is expected back in January and can hopefully join the Whalers in a push for the finals. The fourth AJIHL season is just around the corner! The league has spawned some of the AIHL’s up and coming talent in the past and is a great way to see them in action before they hit the top level. If you are in need of a hockey fix and some cheap thrills then the AJIHL is the answer. As the countdown to the season approaches it is only fitting we bring you a preview of what each team can bring. Additions: Darcy Flanagan, Jacob Haley, Joseph Davies, Edwin Johnstone, Caleb Butler Subtractions: Lenny Lee, Sam Hodic, Scott Maloney, David Sowa Last years season ranking = 3rd Last years final ranking = 3rd Forwards Brayden Martin Tim Vanderwolf Peter Colossimo Gavin Birchler (F/D) Joseph Davies Edwin Johnstone Caleb Butler Defence Corey Stringer Bryan Birchler Darcy Flanagan David Foster Jacob Haley Goal Jack Hayes The Glaciers fell short of the AJIHL Grand Final last year and will be keen to get back to work this season for another shot. 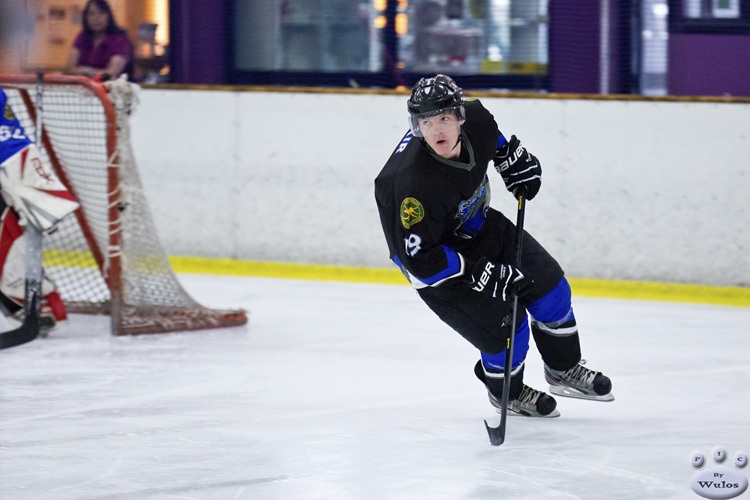 Whilst they will lose the scoring touch of Lenny Lee (21 points in 16 games) and Sam Hodic (15 points in 15 games), the Glaciers still have plenty of production from their blue line thanks to Corey Stringer (8G,8A in 15 games) and Gavin Birchler (9G,3A in 16 games). 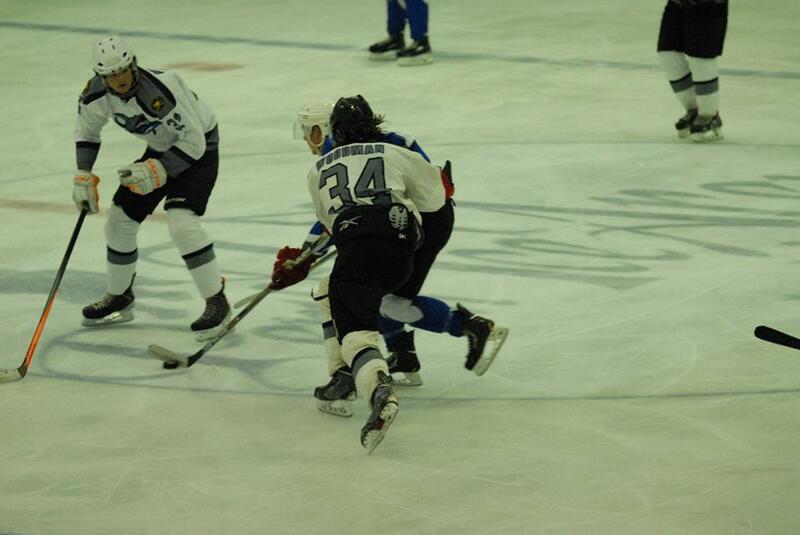 Stringer has just come off his AIHL rookie season with the Mustangs and is expected to improve on last year’s totals. He will be backed up by a fellow Mustangs rookie in Jack Hayes in goal who played in 4 games for the big club and managed to collect a win in the process. Hayes was solid in net last season for the club with the 3rd best GAA (1.94), wins (tied second 7) and save percentage (90.6%). Glaciers have picked up Caleb Butler who did spend some time playing with the Melbourne Ice in 2012/2013 and should give the Glaciers a boost up front. Coach Doug Stevenson says fitness and team play will be the keys to success this season. The Glaciers take on the Whalers in their home Darby Thursday Night at the O’Brien Group Arena. The fourth AJIHL season is just around the corner! The league has spawned some of the AIHL’s up and coming talent in the past and is a great way to see them in action before they hit the top level. If you are in need of a hockey fix and some cheap thrills then the AJIHL is the answer. As the countdown to the season approaches it is only fitting we bring you a preview of what each team can bring. 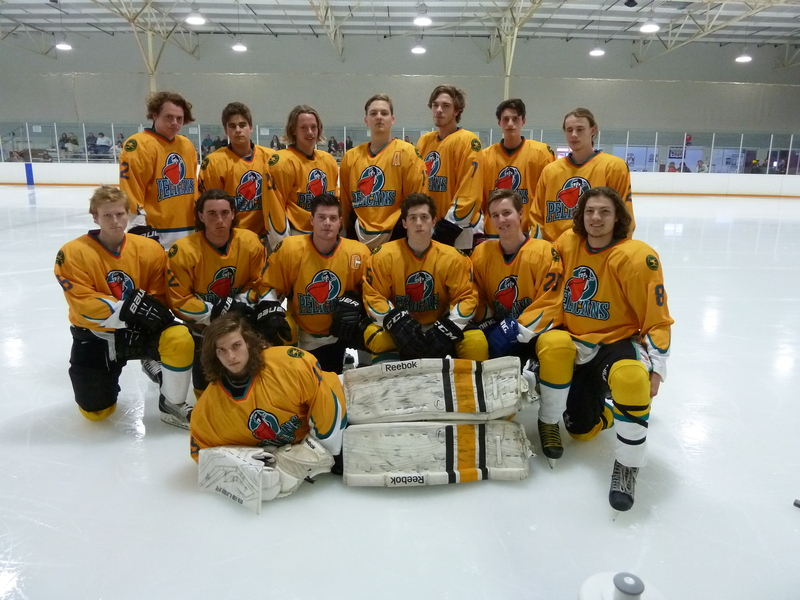 The Sydney Sabres have always been a force in the AJIHL and this season looks to be no different. The Sabres pick up forward Cameron Smith who made his debut for the Sydney Ice Dogs in 2015 along with Sabres long time leading defenceman Daniel Pataky. The Sabres have an impressive mix of young AIHL players with the likes of Joshua Hansen and Saxon Air, as well as four players (Manwarring,Carini, Pataky and Hansen) representing the Australian Junior Team later this year. Below is a snapshot of the Sabres line up: 2014-2015 Season Ranking = 2nd 2014-2015 Final Ranking = 3rd Additions: Liam Manwarring, Cameron Smith (Drafted to Sabres), Aiden Silato, Pearcen Nicholson, Kory Sheridan, Joshua Kleipas, Branson Moore, Tim Russell (Drafted to Sabres), Mohak Issar, Charlie Yole, Dale Tilstead Subtractions: Luke Zvonicek (Drafted to Wolf Pack), Luke Shafren, Damien Sables, Bryan Costa (Age), Lachlan Allport (Overseas), Rhett Kelly (Age), Nathan Moncrieff (Injured), Corey Brown, Chris Shepherd (Age), Sam Lammert (Age). Forwards Liam Manwarring (Rookie) Ellesse Carini Cameron Smith Aiden Silato (Rookie) Saxon Air Pearcen Nicholson (Rookie) Cian O’Reilly Kory Sheridan (Rookie) Joshua Kleipas (Rookie) Mohak Issar (Rookie) Defence Daniel Pataky Joshua Hansen (Injured) Branson Moore (Rookie) Tim Russell Charlie Yole Goal Tyrone Mendoza – Kehlet Dale Tilstead (Rookie) Jason Kvisle and Jimmy Dufour return behind the bench for their fourth season at the Helm. Both coaches feeling pretty good about the upcoming season “We felt particularly good after leaving the NSW draft as they were happy with the group of talented players they were able to pick up”. They should feel good about this group. The addition of Junior Team debutant Liam Manwarring will be interesting to watch with his form at the State level and time spent overseas. Sabres Points leader Ellese Carini averaged over a point a game last season (9G, 8A in 15 games) and is also representing alongside Manwarring – Will Carini top this feat in his Sophomore season and lead the Sabres again? Whilst the Sabres lose a veteran in net in Rhett Kelly who was instrumental to their championship two years ago, the sabres will do just fine with Tyrone Mendoza – Kehlet. Kehlet led the league last season in GAA (1.44) and 8 wins. He will have a strong defensive unit in front of him again led by Pataky and Hansen that other teams will have to find a way around. The Sabres also mentioned in a statement that they want to keep the trophy in NSW “The past three AJIHL seasons have all been won by the NSW teams and we feel that with this team it is again our year to try and take out the championship”. With this line up they have a very good chance of doing so. The home derby between Sabres and Wolfpack will be one to watch this weekend Saturday October 31st 6:15pm at Penrith Ice Rink.